« “Forgotten Hollywood”- Hitch Nine Preserved for Posterity! Michael Ansara was an actor who played exotic roles in classic films and television. He was also married to Barbara Eden for a time. His movie career included epics, such as Kim (with Errol Flynn), The Robe, Julius Caesar, The Ten Commandments, The Greatest Story Ever Told, Voyage to the Bottom of the Sea, The Comancheros, and Road to Bali. 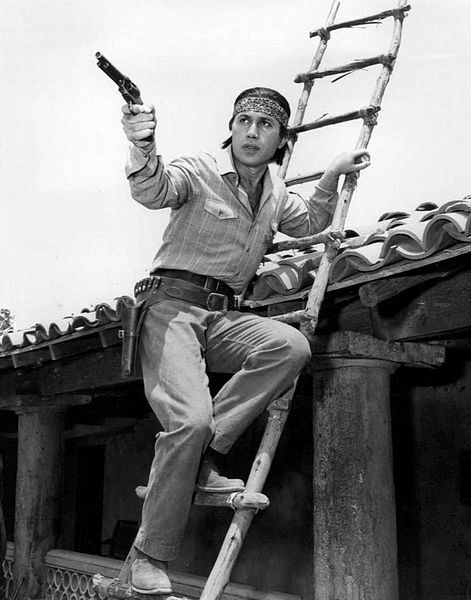 Ansara was also a mainstay on the small screen, appearing as Cochise in Broken Arrow, and starring in Law of the Plainsman. The latter show began as an episode of The Rifleman. He also had roles in a number of episodes of The Outer Limits, Alfred Hitchcock Presents, The Untouchables, and opposite his wife on I Dream of Jeannie. He’s one of seven actors to play the same character (Klingon commander Kang) on three different Star Trek televisionseries. In 1962, Ansara starred in a Broadway show with famous silent film actor Ramon Novarro. Ansara was nominated for an Academy of Science Fiction Award, and won a Western Heritage Award. His marriage to Barbara Eden lasted 16 years. 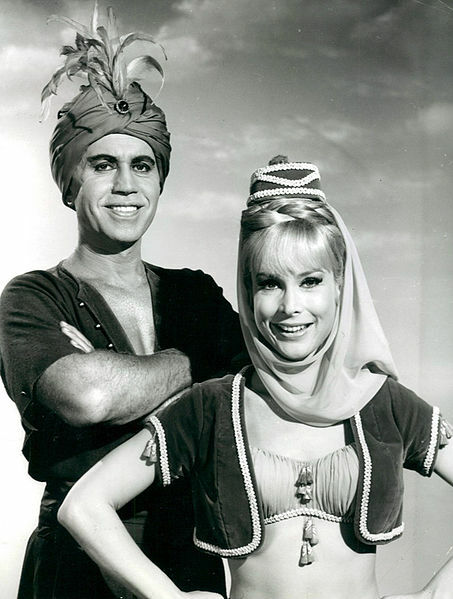 The Syrian-born Michael Ansara was 91. This entry was posted on Saturday, August 3rd, 2013 at 3:38 am	and is filed under Blog by Manny Pacheco. You can follow any comments to this post through the RSS 2.0 feed. Responses are currently closed, but you can trackback from your own site.